Le prix et la disponibilité du produit sont corrects en date du 2019-04-22 13:21:58 UTC et sont sujets à changements. Toute informaiton relative au prix ou à la disponibilité affichés pour http://www.amazon.fr/ au moment de la commande sera d'application lors de l'achat de ce produit. From HBO's hit fantasy series Game of Thrones comes a new assortment of Funko POP Vinyl Figures! 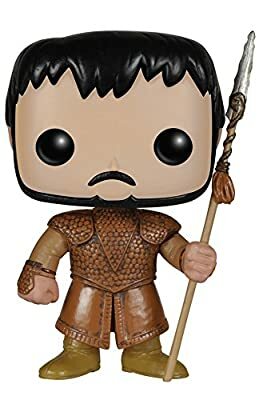 Game of Throne fans will be excited to own this 3 3/4-inch tall vinyl figure featuring the swashbuckling Prince Oberyn Martell! 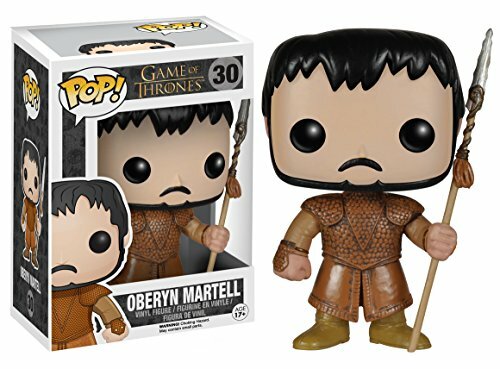 The Game of Thrones Oberyn Martell POP Vinyl Figure comes in a window display box and makes a great addition to any Game of Thrones fan's collection! Collect The Mountain POP Vinyl Figure (sold separately) to reenact their epic battle!